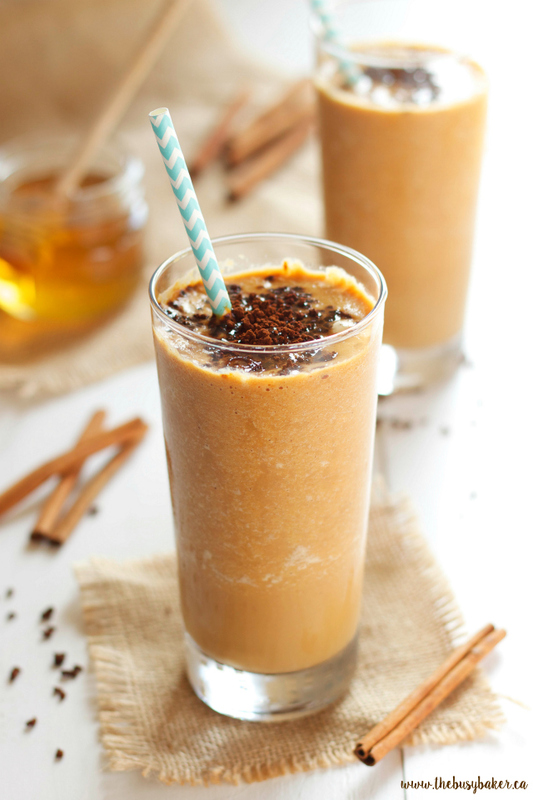 This Healthy Pumpkin Spice Frappuccino is the perfect blend of healthy and indulgent! It’s everybody’s favourite fall coffee drink with a healthy twist, made from simple, wholesome ingredients. 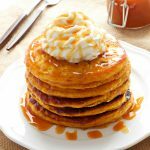 It’s such an easy recipe and tastes so much better than anything from a coffee shop because it’s made with real pumpkin! Normally at this time of year I’d be rejoicing in the cool fall weather and enjoying all my fall sweaters and jeans, but this year has been a LOT different for us! I’ve mentioned before that our family made a HUGE move overseas this summer and we’re living in Bucharest, Romania right now: the city of insane traffic and piping hot September days (and nights…but don’t get me started on that!). Needless to say, I’m still wearing shorts, t-shirts, and sandals almost every day and we’re heading to the beach at the Black Sea tomorrow for a little family vacation. Coming from Canada it sure feels crazy to be going on a beach vacation in the middle of September when it’s 31 degrees outside (Celsius), but I’ll take it! In Europe they do this iced coffee thing in the summertime called Frappe. 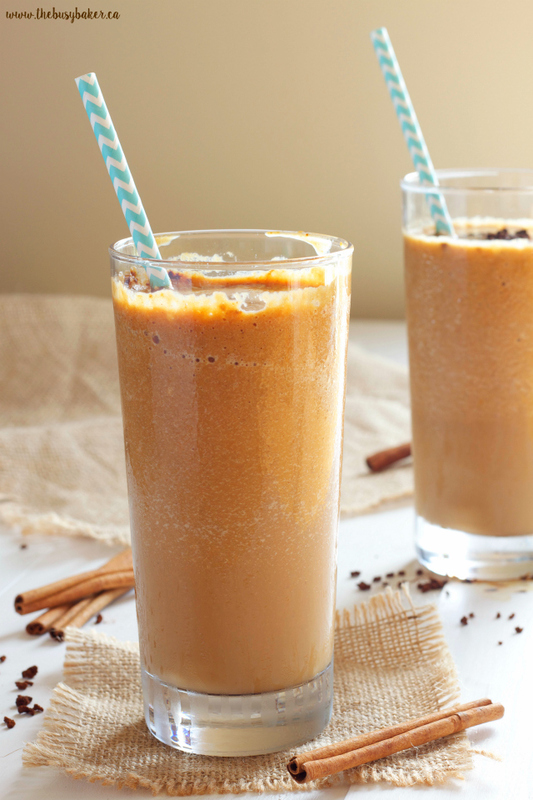 We were first introduced to it on our trip to Greece in 2010 and even though we’re not typically coffee-drinkers, Frappes are totally irresistible. 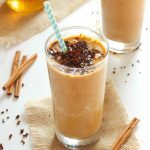 They’re these ultra smooth blended coffee drinks that are just SO good, and this Health Pumpkin Spice Frappuccino I’m sharing with you today is the closest thing I’ve ever made to a Frappe. And let me tell you, it is GOOD! 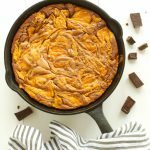 Whether or not you’re into pumpkin-spice-everything in the fall (like me!) 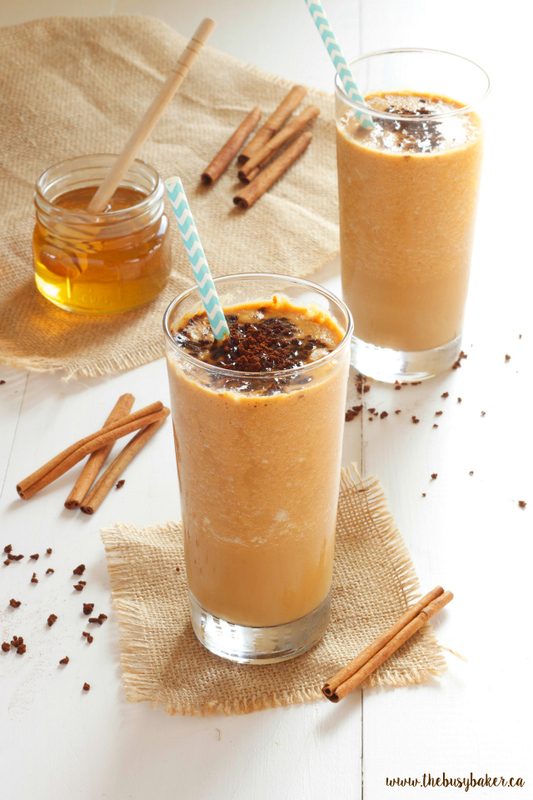 or not, you’ll definitely appreciate these flavours since this Healthy Pumpkin Spice Frappuccino actually gets its pumpkin spice flavour from real pumpkin! Imagine that!?! In all seriousness though, that does increase the health factor of this drink since it’s sweetened only with a little bit of liquid honey – and feel free to add the honey to your taste if you like more or less sweetness. 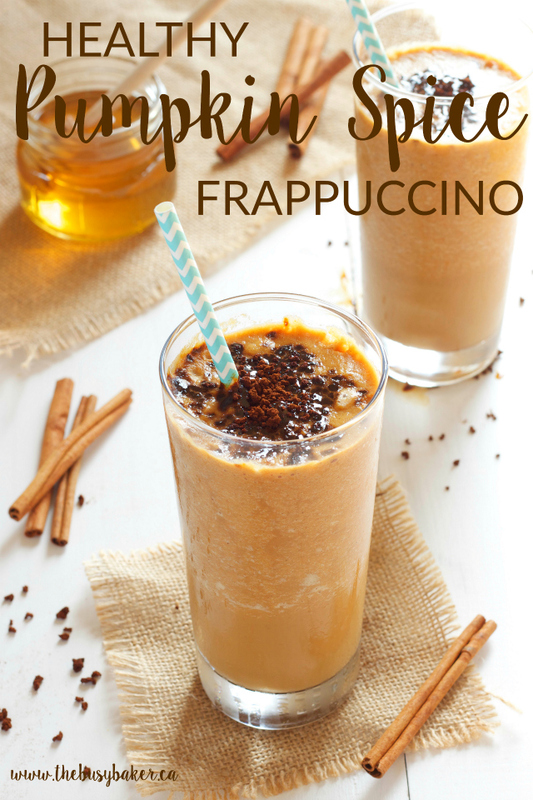 I just love this Healthy Pumpkin Spice Frappuccino and I’m so excited to be sharing it with you today. And it’s such an easy recipe! 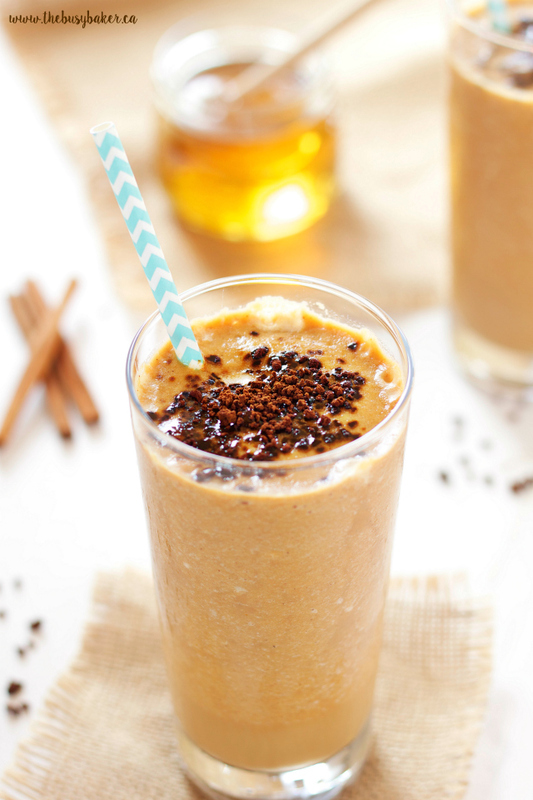 Just throw all your ingredients in the blender, blend until smooth, and enjoy! And while you’re enjoying this delicious blended coffee this weekend, I’ll be enjoying the Romanian seaside with my family – stay tuned for my posts next week and I’ll let you know how it goes!! This Healthy Pumpkin Spice Frappuccino is SO delicious and it’s the perfect alternative to those expensive, sugar-laden coffee drinks that everybody seems to love. 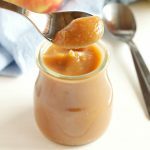 Making your own at home from wholesome ingredients is not only less expensive, but it’s also a great way to enjoy your favourite fall flavours without all the guilt! 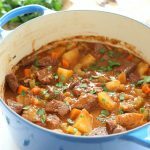 I hope you enjoyed this recipe! Let me know in the comments below, what’s your favourite coffee drink for fall? 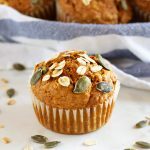 If you love pumpkin spice as much as I do, you’ll love my other favourite Pumpkin Spice recipes!! 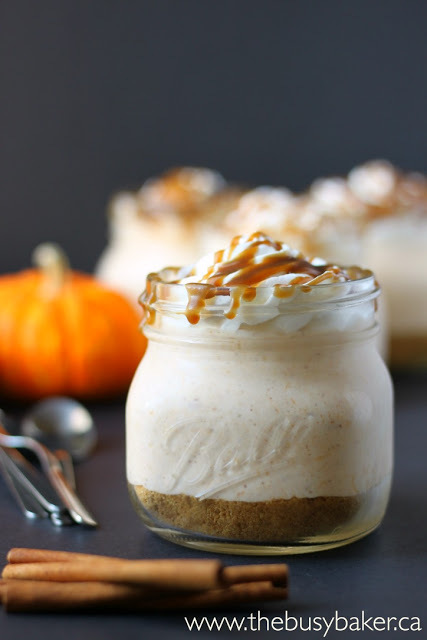 Try these No-Bake Pumpkin Spice Mason Jar Cheesecakes!! They’re the perfect easy dessert for fall! 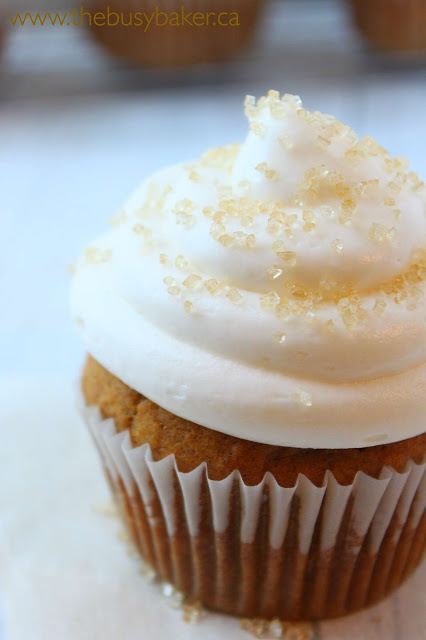 These Pumpkin Spice Cupcakes with Fluffy Cream Cheese Frosting are one of my most popular recipes! 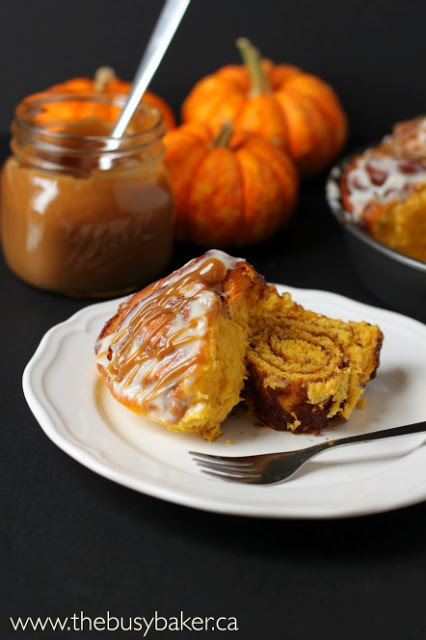 These Pumpkin Spice Cinnamon Rolls make any fall brunch a delicious celebration!! 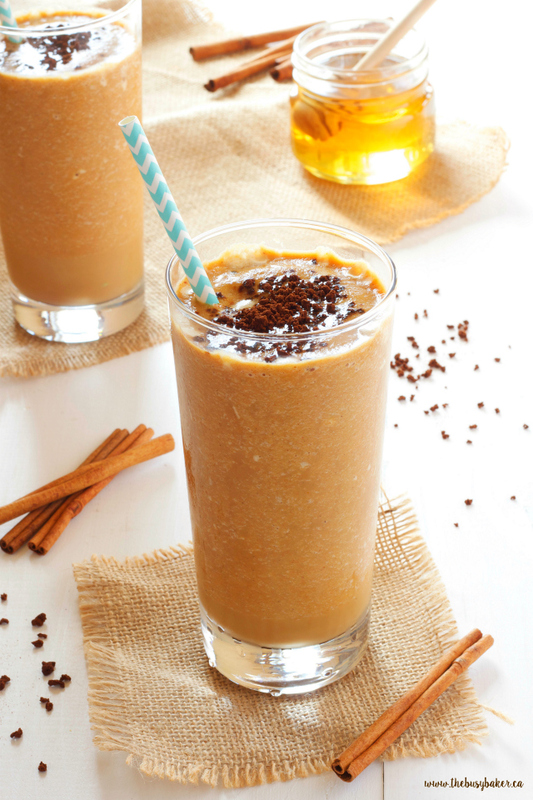 This Healthy Pumpkin Spice Frappuccino is everybody's favourite fall drink made from healthy, wholesome ingredients! 1 cup milk almond milk, soy milk, or any other dairy-free alternative works well too! 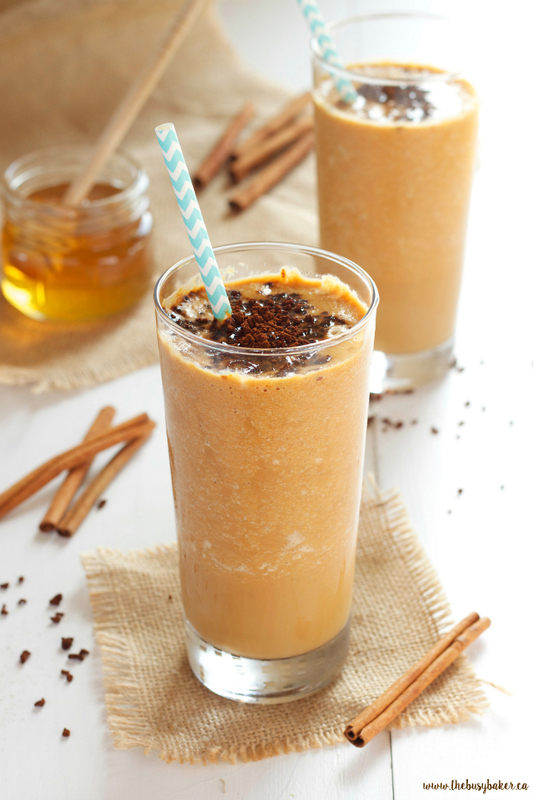 Add the ice cubes, instant coffee, pureed pumpkin, cinnamon, nutmeg, liquid honey and milk to a high speed blender and blend on high until the mixture is smooth. Pour into 2 glasses and garnish with a pinch of instant coffee (if desired).